In 1968, Kenneth and Cynthia Bice moved their family from the city of Los Angeles to the redwoods of Sonoma County to establish their own farm, complete with ducks, chickens, rabbits, goats, pigs, and sheep. Their three children became involved with 4-H and began raising their own goats. Their oldest child, Jennifer, became particularly enamored with the sweet and inquisitive nature of goats. As the number of goats grew, the Bice family accumulated an excess of fresh goat milk, so they began bottling and selling it to local health food stores. 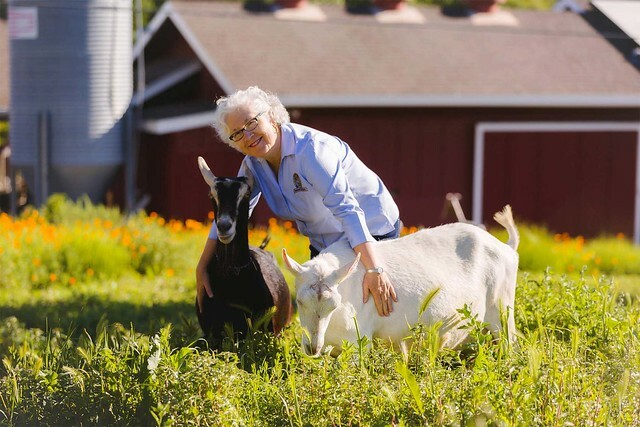 Ten years later, in 1978, Jennifer and her husband took over the small family business and expanded the goat dairy. Shortly after, they began selling goat cheese and goat milk yogurt that rapidly gained popularity throughout the US. In 2004 they moved their business to a creamery in Sebastopol, just a few miles away from the original farm. From day one, the Bice family has had great respect for the animals they raise. Goats are known for being gentle, sociable and intelligent, with dog-like personalities. 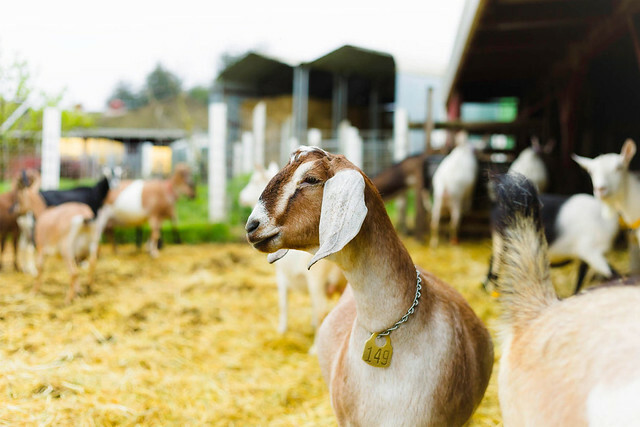 Redwood Hill Farm raises four different goat breeds: Alpines, known for their vitality and adaptability; LaManches, the most inquisitive and personable breed; Nubians, recognizable by their distinctive facial profile; and Saanens, an ideal breed for dairy purposes. Because of their size and eating habits, goats have a smaller impact on the land and can help minimize negative environmental impacts associated with livestock production. Redwood Hill Farm is a certified California Green Business, and they strive to utilize sustainable practices in all aspects of their operation. They make their facility more sustainable through the use of recycling, insulation, eco-sanitizers, LED and sensor lighting, and solar-powered electric vehicle charging stations. Their creamery runs on 100% renewable energy. In 2010 they installed over 2,500 solar panels that provide 85% of the business’s electricity, with the rest of their needs being met by renewable sources such as wind and geothermal. Their packaging is recyclable and BPA-free, and they only use lighter weight plastics in order to minimize environmental impact. They use water saving measures such as their rainwater catchment system that captures up to 100,000 gallons of gray water and pumps it to neighboring fields year-round for irrigation. Their 300 milking goats also share their land with an olive orchard, a hop yard, fruit orchards, beehives, and a vegetable garden. This promotes biodiversity within the farm’s ecosystem and provides benefits such as soil health, pollination, weed control, and compost. Redwood Hill Farm grew out of the family’s love and respect for animals. They have always prioritized high standards for animal welfare, and they have continued to honor that as their business has grown. 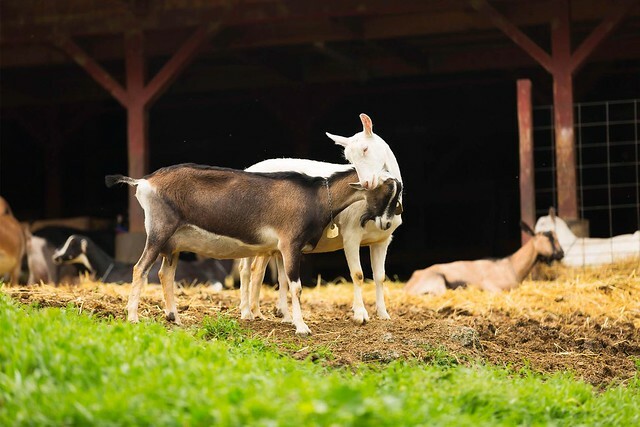 In 2005 they became the first goat dairy to become Certified Humane. 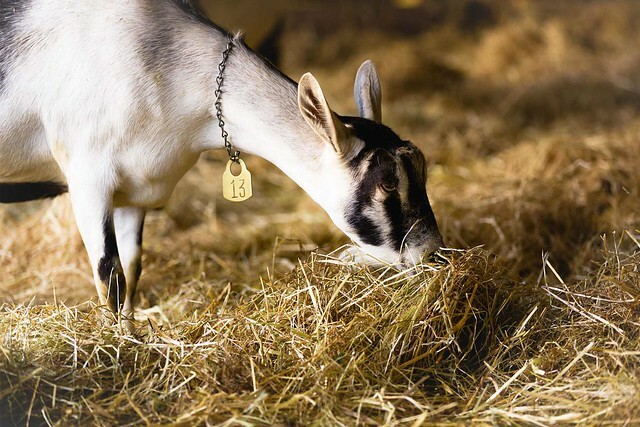 Today, they require each farm that supplies them goat milk to be Certified Humane as well. Some of the requirements for the certification include feeding their animals an antibiotic- and hormone-free diet, providing their animals with sufficient shelter and space to support their natural behavior, providing adequate shelter to protect their goats from rain and wind, and housing their goats together or with other animals as they are social animals that will become stressed if isolated. 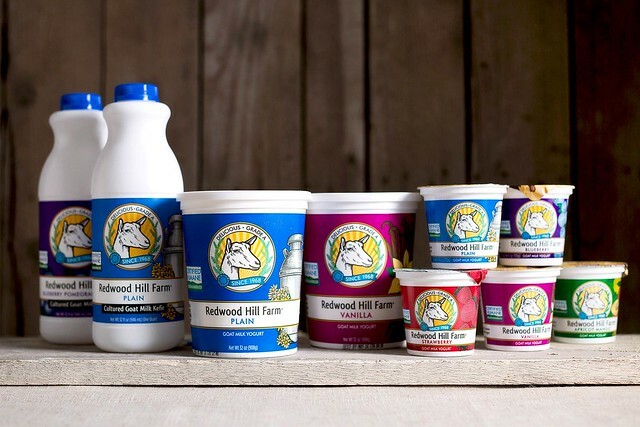 By having the Certified Humane logo on their products, Redwood Hill Farm hopes that consumers will recognize it in the grocery store and make a choice that drives the demand for more responsible farm animal practices.